Classically round but with a deluxe highly polished finish this optical crystal circle paperweight will make the right impression on any desk. 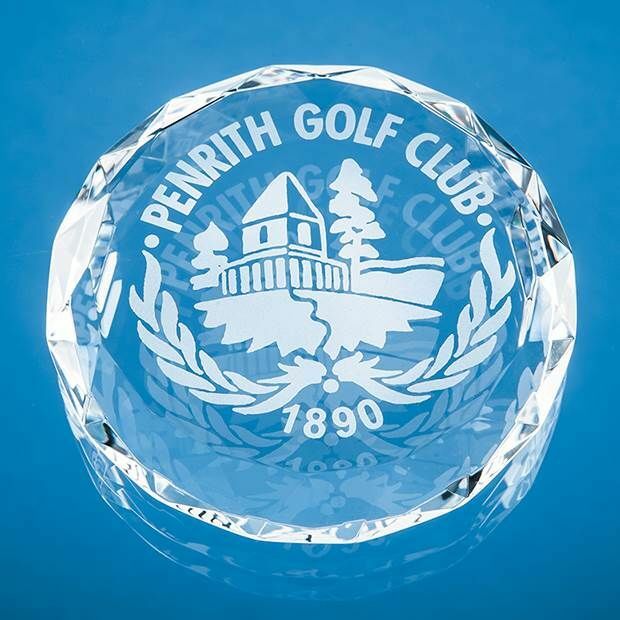 Hand polished with multi-faceted bevelled edges and space for personalised engraving could be a crest logo or message it makes an ideal gift award or a memento of a special occasion or event. It is presented in a satin lined presentation box. SKU: FACETEDPAP8. Categories: Best Selling Products, Cut Crystal with Engraving Panel, New Products, Paperweights & Coasters.